Skyr (pronounced skeer) Icelandic Yogurt has more protein than any other yogurt, which is kinda cool. Skyr was also eaten by Vikings 1,000 years ago. 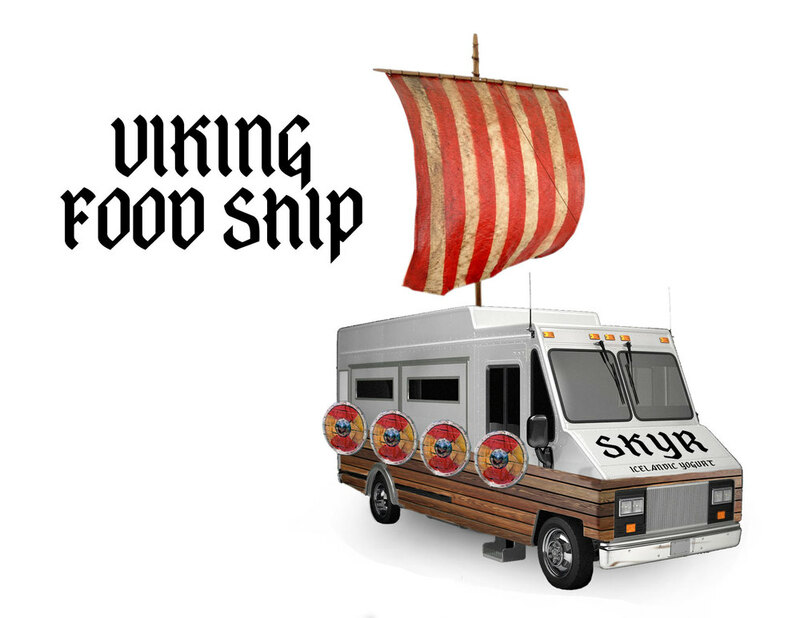 The Skyr food truck-ship, serving Icelandic yogurt and conquering and looting other food trucks. We'll partner with Equinox and design a workout fit for a Viking. They'll be teaching a class. And testing your might. Only the mightiest will receive free Skyr.